What to know what makes a great headline? Why not let people on social media sites like Facebook, Twitter & Pinterest tell you? So why not learn what works from the “horse’s mouth” so to speak. The guys at BuzzSumo analyzed 100 million headlines from March to May 2017 on Facebook, Twitter, Pinterest, Instagram and other related social media sites, and complied their results. What were some of the best phrases that started headlines? Got thru the image above, and look at those phrases. Use the trigrams (three word phrases) that BuzzSumo provides to you for your headlines…. Not only on social media, but also on your blog posts, sales page titles & sub heads, and other places where you are trying to engage your visitors. After all, the hard work has already been done for you. 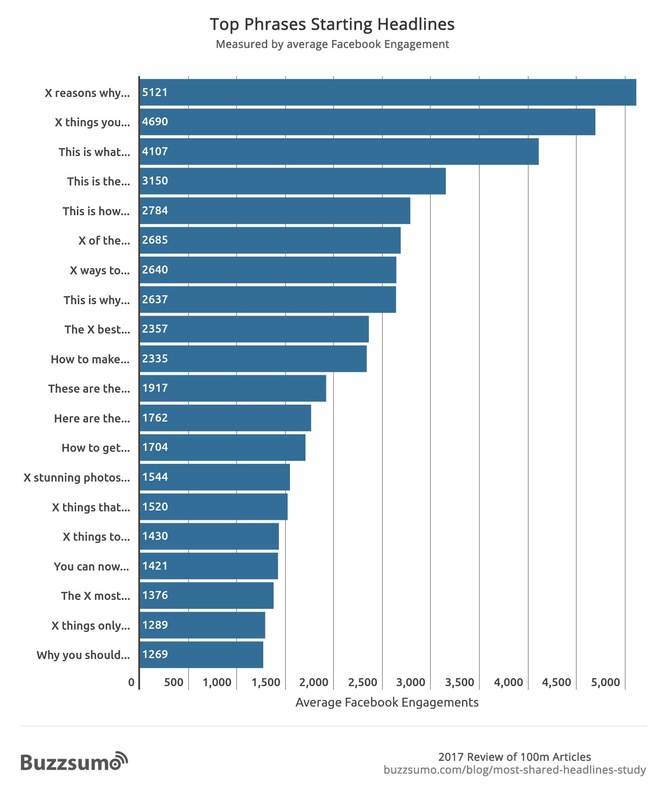 BuzzSumo did the research on the 100 million headlines…. You just have to use that research in your online marketing. They should work for you as well.